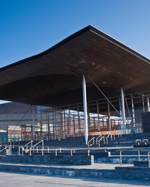 The Policy Forum for Wales is planning a very full programme for the next 12 months. Sylwch: Nid oes buddion ariannol i noddwyr y Fforwm. Note: patrons take no financial interest in the Forum.